The National Basketball Association’s 2014-15 regular season has come and gone. It featured a number of great stories as the Atlanta Hawks and Golden State Warriors turned out to surprisingly claim 1-seeds, LeBron James returned to Cleveland, the Hornets were Charlotte’s once again, Klay Thompson scored a record 37 points in one quarter, the Houston Rockets set a new record for 3-pointers made in a season and over the weekend, Orlando and New York combined for a record-low 15 points in a quarter. It was certainly a memorable year for a number of reasons, but perhaps more so for who was not there. 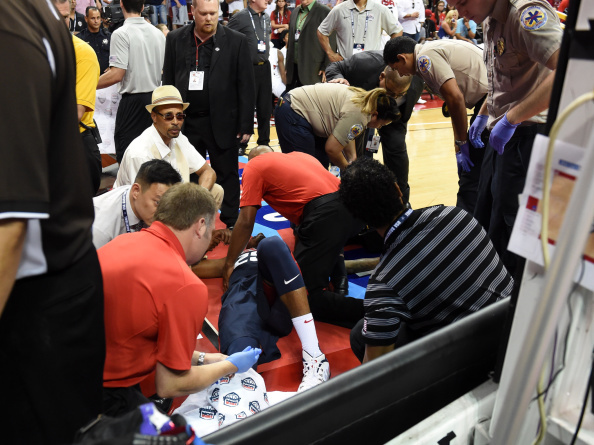 When fans look back on the 2014-15 NBA campaign, it may be remembered as the year of the injured superstar. Three years removed from a NBA Finals appearance, many thought this may finally be the season that the Oklahoma City Thunder broke through and claimed an NBA title. Russell Westbrook, who missed 15 games in early in the year, emerged as an MVP candidate and won the scoring title, but the Thunder finished one game shy of earning a playoff spot in the Western Conference, thanks largely to the loss of the face of the franchise, Kevin Durant. 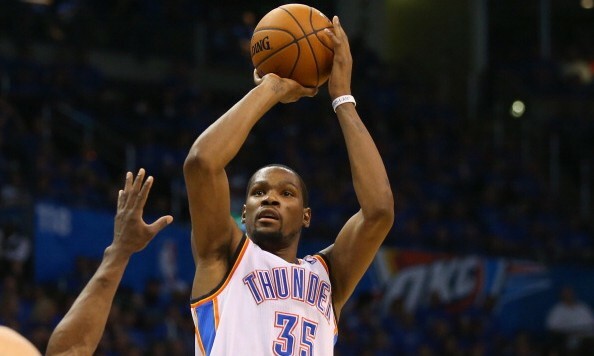 Durant missed 55 games including the final 28 with a foot injury. The disappointing season for Oklahoma City has left the future of the franchise very much in question. In the Eastern Conference, the team that finished just outside of the final playoff spot also dealt with an injured superstar. After reaching the Eastern Conference Finals in each of the last two season, the Pacers spent the majority of the 2014-15 season without star swingman Paul George. George suffered a horrific leg injury while playing with Team USA in a scrimmage last summer. After missing the first 76 games, George was able to come back late in the season, but couldn’t save the Pacers’ playoff hopes. George played in Indiana’s final six games with the Pacers winning five of them, but a loss to the Memphis Grizzlies on the final night of the regular season gave the 8-seed in the East to the Brooklyn Nets. The team that won the Eastern Conference in the previous four seasons was also hit hard by the injury bug. Few expected the Miami Heat to compete for a championship, but playoffs seemed to be a certainty prior to the year. With the Heat pushing for a playoff spot, the team suffered a huge blow as 10-time All-Star Chris Bosh sustained an injury that threatened more than his basketball career. Bosh missed Miami’s final 30 games with blood clots on his lungs. Former All-Stars Dwyane Wade and Luol Deng also combined to miss 30 games as the Heat finished a game back of the Brooklyn for the final spot in the East. It looked as though the East’s guard most notorious for being injured might experience more of the same as Chicago Bulls’ star Derrick Rose suffered an injury to a knee already surgically repaired. It seemed as though Chicago would again have to try to make a playoff run without its star, but this one fortunately turned out to be less severe. Though he missed 31 games for the season including 20 straight from late February to early April, Rose is set to make his first playoff appearance since Game 1 of the 2012 Eastern Conference Quarterfinals. The Bulls will host the Milwaukee Bucks on Saturday night. Superstars were also absent in the country’s two largest markets for most of the season. In New York, forward Carmelo Anthony played in just 40 games and was shut down after the All-Star break as the Knicks finished with the worst record in the Eastern Conference at 17-65. On the other coast, Kobe Bryant appeared in just 35 games for the Los Angeles Lakers, who finished a franchise-worst 21-61. 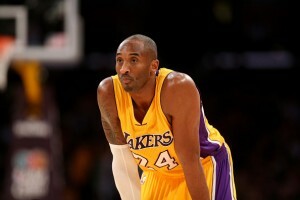 At 36 years old, Bryant had rotator cuff surgery in late January. Bryant has made 15 straight All-Stars game, but the nagging injury could serve as a sign that his legendary career is coming to a close. Bryant’s former teammate, center Dwight Howard, missed half of Houston’s 82 games, but thanks to a career-year from guard James Harden, the Rockets still managed to grab the second seed in the West and will face the Dallas Mavericks in the first round. Howard and Harden have each previously played in a NBA Finals, making the Rockets a scary team to face in the postseason. As is the case in almost any year, the 2014-15 NBA season had its share of big disappointments and pleasant surprises, but the injury bug certainty changed the landscape of the season. Though it was a record-setting season for a number of players and franchises, when fans — particularly those in Oklahoma City and Indianapolis — look back on this season, they may remember it better for the stars that were out of action.